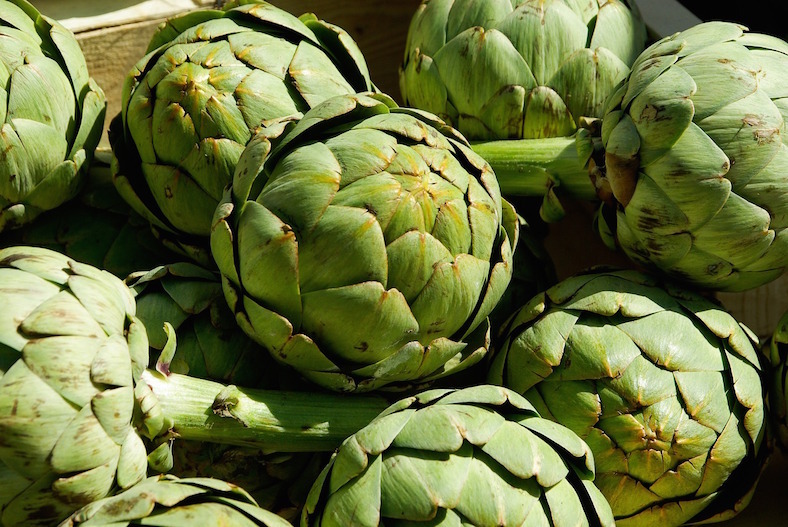 When I was going through the grocery store checkout the other day, the person scanning my stuff ouched and winced his way through the artichokes I was buying. “Some vegetables can be classified as just plain aggressive,” he laughed. I never thought of vegetables as having particular personalities and I liked the checker’s imagination. Aggressive vegetables. Just like some people. Prickly. We learn to spot them, the people who stride with a grimace on their face, rarely returning a greeting or a smile. The people who gripe and moan about the misfortunes that life has dealt them, taking on the art of complaining as their beloved career. Like the artichokes that I love so much, I bet those people have a soft, sweet interior — it’s there. You just have to work a little to discover it.